Rental Depot & Party Station, Inc. Rochester Minnesota - Electric Warmer. 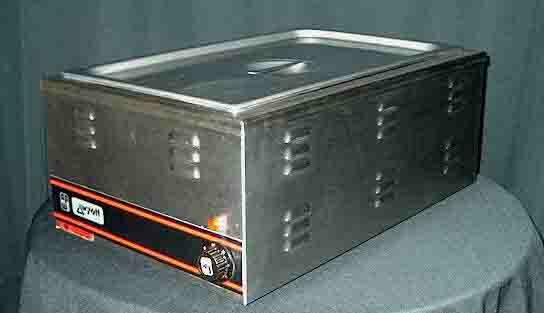 1200W Warmer keeps food warm, holds up to 22 quarts. All stainless cabinet. 12'' x 20'' Opening. 120V. 1200 Watts, 10 amps. NEMA 5-15P. UL.